Select “Options…”, to open the Options dialog box. Click “OK” to close the Options dialog box. If you are using Mac OS X, then you need to select Preferences… on the Firefox menu, instead of Options… on the Tools menu. 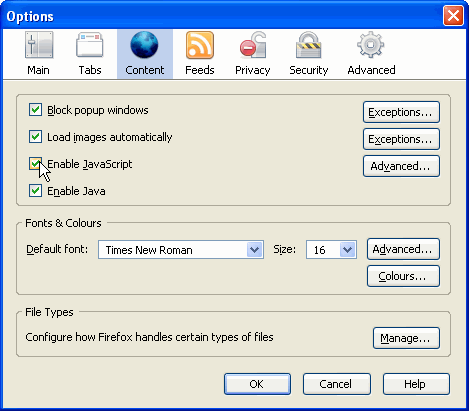 Click the File menu (version 6) or the Tools menu (versions 7, 8 and 9). Click the red button at the top left to close the Preferences dialog box. In the Category list, click the triangle next to “Advanced” so that it points downwards. In the list of items beneath Advanced, click “Scripts & Plugins”. 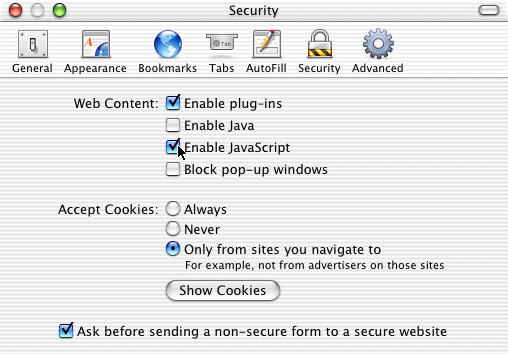 If you are using Mac OS X, then you need to select Preferences… on the SeaMonkey menu, instead of on the Tools menu. 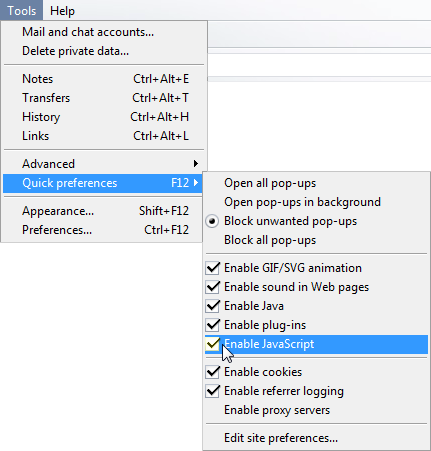 Under Active Scripting, click either Enable or Disable. In the scrolling list, click Web Browser so that you can see the bulleted items beneath it. 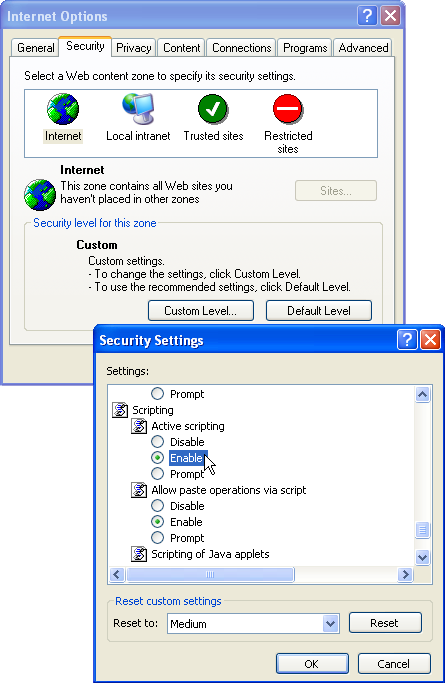 In the Zone: pop-up menu, select Internet Zone. 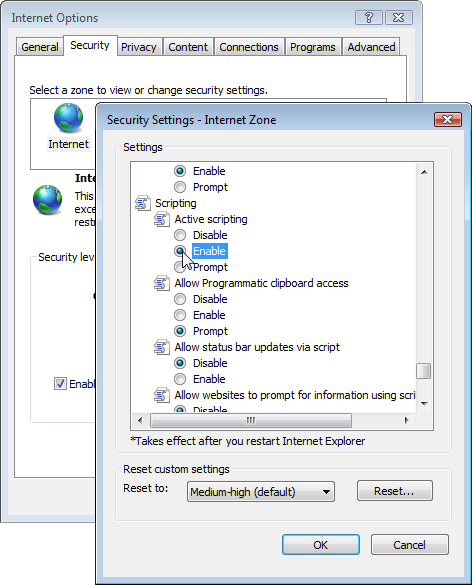 In the Internet Zone dialog box, scroll down to Scripting. 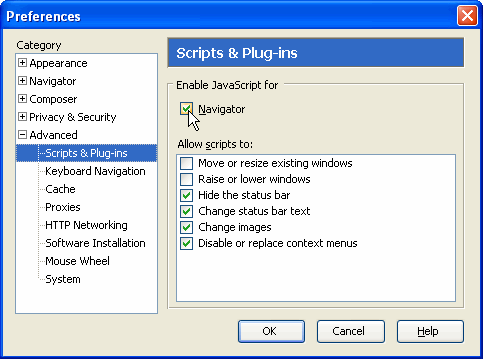 Under Scripting, set Execute scripts to either Enable or Disable. In the Category list, click Advanced.